It’s time for The Weekend’s third and final chapter of the PUMA x XO Collection! The last drop falls under the motto “Crafted Military” and features sports-inspired pieces with a contemporary street look and feel, with oversized silhouettes, Tibetan-inspired military details, rich embroidery and cut and sew details. 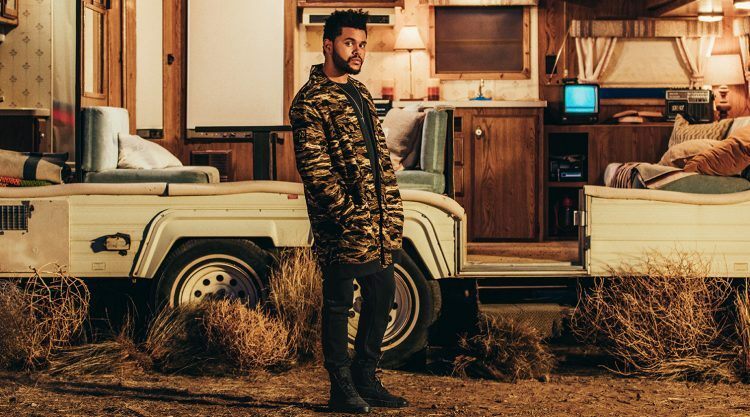 Notable styles include the PUMA x XO Bomber Jacket in all-over camo canvass and all-black nylon iterations and the returning statement Kimono Jacket also in black and camo canvas renditions. The look extends to accessories with the PUMA x XO Backpack, Beanie and Cap. Signature XO silhouettes compliment the rough and rugged pieces, from the PUMA x XO Hoodie that feature the unique camo pattern and cyber yellow hues to PUMA x XO Camo Tees and Tanks that bear the PUMA x XO logo. Completing the collection is the PUMA x XO Parallel in a stealth black colorway. 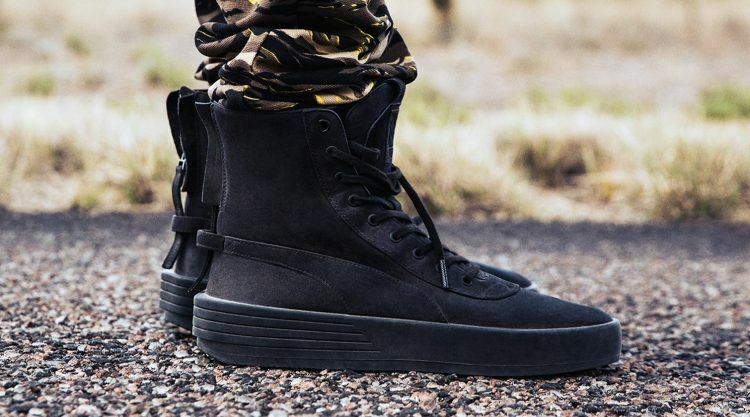 Inspired by military and utilitarian gear, the sell-out PUMA x XO Parallel is a mid-cut sneaker boot that’s fully decked out in luxurious Italian nubuck leather upper. The smooth rubber midsole features IGNITE cushioning technology. The boot boasts of a contemporary blocked heel design with an extended Formstrip and co-branded labels. Abel Makkonen Tesfaye, more commonly known as The Weeknd, is one of the currently most well-known alternative R&B artists. The Toronto-based, Canadian-born musician with Ethiopian roots first gained popularity on the scene with his free mixtape ‘House of Balloons’ in 2011 and through working with other artists like Drake or Wiz Khalifa before landing his own deal with Universal Music.